Looking for some new perfume or aftershave? Then you’re probably wondering about a Fragrance Direct student discount. We can confirm that there is a Fragrance Direct student discount in 2019. The deal is currently 10% off, with special sale items at 75%. To get it, simply validate your student status and you’ll be issued with student discount code. Plus if there are any better ways to save including Fragrance Direct promo codes, deals and sales alerts. Does Fragrance Direct do a student discount? Is there a Fragrance Direct NUS discount? 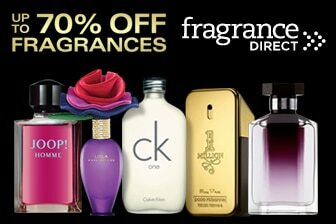 Fantastic news, there is an NUS discount for Fragrance Direct. Simply go to this page fill out the form and you’ll be issued with a Fragrance Direct voucher code to get 10% off at the online till. But make sure you carry on reading to get even more ways to save even more at Fragrance Direct. Extra ways for students to save at Fragrance Direct. Wait though there are more ways for students to save at Fragrance Direct. These include sales alerts, short-term promo codes which save you more. Make sure you check out the offers page which lists the best deals on perfume and aftershave. You might find an even bigger bargain. Fragrance Direct is the UK’s leading perfume provider but now offers much more than just cheap scents. Their current range includes, of course, perfumes, but also make-up, skincare, sun and tanning products, bath and body, haircare, healthy living essentials, candles and homewares and gift sets. Using their large buying power to negotiate prices down as far as they can, you can be sure of a bargain every time you purchase. Today Fragrance Direct stock over 14,000 different items spanning over 600 varied brands. While high street retailers may be the place for you to sample scents and see what you like – a shopping behaviour known as ‘showrooming’, introduced since the advent of online shopping – Student Discount Squirrel always recommends shopping around for the best deal price-wise… and Fragrance Direct are often the best place for it. Of course, it’s not just buying products for yourself that you can rely on Fragrance Direct for. If you’re considering a beauty or perfume purchase as a gift, this is also the place to shop. From time to time there’s limited edition and exclusive gift sets available; so you may even find something that you otherwise wouldn’t be able to get. Fragrance Direct is a budget brand selling premium products, but the value doesn’t stop there: they also offer a 10% student discount through a third-party site as standard! However, Student Discount Squirrel thinks we can do one better… so keep this site bookmarked and check back for the latest info on money-off deals, voucher codes and flash sales. If there’s a bargain to be had, we’ll find it for you and let you know about it! Fragrance Direct launched in 1993, and as the name suggests, was focused on primarily perfumes. Founded the year before the ‘dotcom bubble’, Fragrance Direct was able to ride the success of online shopping as it hit peak popularity and were quickly in a position to diversify to include a wider range of goods in the beauty sector. As customers became more conscious of the choices available online from competitors alongside the ranges they could buy in high street shops, they began to feed back to Fragrance Direct through email, phone and social media what they wanted to be able to buy cheaply online – and the company were able to respond to this by contacting the relevant brands and negotiating deals. Today, Fragrance Direct remains a popular choice for not just perfumes but all beauty buys online. The brand continue to work directly with internationally-known designer names to negotiate cheap deals and exclusive sets to stock; ensuring they continue to cement their name as a must-stop shop for all things sweet looking and smelling. It’s well worth reading our Boots student discount guide where there are often promo codes to save on perfumes and aftershaves. House of Fraser has a 10% student discount code. Looking for cheap fragrances? The Superdrug student discount should help you save. There are always some great offers at Debenhams for a student discount too. The fantastic Body Shop also do great discounts too!